We got a Speck! Lots of Stripers! This Thursday, 27 April! 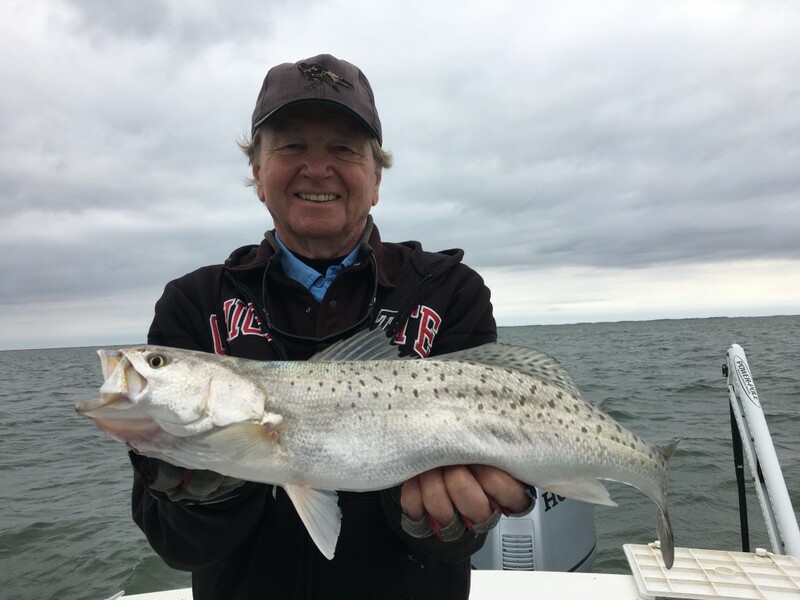 Weather forecast shows S/SE breeze……great temps and warming waters should inspire a great shallow water bite in the islands. Will probably start the day shooting for big fish on plugs/jigs then roll to the islands to shoot shallow structure. Warming waters may give a shot at a Speck! I’ve seen a couple already so maybe we’ll see more! We’ll launch at 530am and return around 230pm. We’ll cover lots of water and catching should be good! If you are interested in going give me a call or text at 703-395-9955 to reserve your spot. Give me a call, text or message here if you’d like to go! Come on out and give it a shot! Posted under Sticky,Trip Opening,Walk-On Trip Openings!! !